Integrated Business Systems Ltd is an accredited Partner of Alcatel-Lucent Enterprise (ALE) who supplies and installs the full Alcatel-Lucent range of telecommunication systems. As an Alcatel Business Partner , we provide and install business-grade network infrastructure, network services, IP-telephones, VoIP phones, pbx, CAT5e and CAT6a cabling, data solutions, wireless networking (including WLAN wireless networks), routers and data switches. We also specialise in IP telephony, Unified Communications and call software for superior call management, call mobility and business-critical communication solutions. 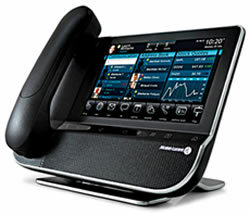 B2B calls are essential to your company but high volume calls and business line rentals drain budgets. Partnerships with the major carriers enable us to offer the best broadband deals whilst our business call packages deliver cost effective business phone lines, call rates, business broadband line rental & call analysis. Improve your company reputation with professional call handling and call quality to callers’ satisfaction. Our telephone call management packages and Call centre solutions include call monitoring, call recording, direct dial in, call logging, voicemail to email, auto attendant and call statistics. Ensure your staff stay connected with unified Communications and benefit from free inter-site calls, ‘follow-me’, call forwarding, multi-party calls, video conferencing, IP phones, IP Telephony, VoIP, VoIP Phones, SIP , VoIP service, Alcatel-Lucent Enterprise (ALE), Cisco VoIP and IP PBX from IP Cortex. Free phone 0800 numbers entice business enquiries and confer competitive advantages. However, non-geographic 0845/0870 numbers remove perception of distance whilst local STD codes create a notion of locality to capitalize on business opportunities. Further services include virtual numbers, call forwarding, call divert, VoIP calls, direct dial in, follow-me and portable numbers.